Okay, so these products were my introduction to Burt's Bees and its safe to say I will be investing in a few more. So firstly, the lip balm. 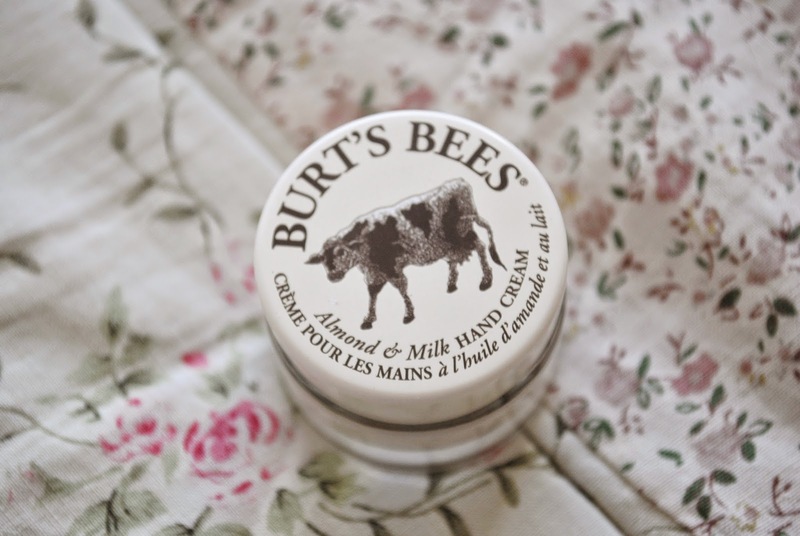 I'm a lover of minty smelling things, so was instantly drawn to this when I saw that the balm was peppermint scented. The smell of this is amazing. As a lip balm itself, I really enjoy using it. 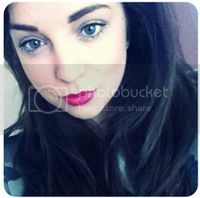 It moisturises my lips really well and for a good few hours. I'm a huge fan of EOS lip balms, but this for me, is a great alternative. This seems slightly thicker than those balms, but very lovely indeed.. Especially when your lips need that extra bit of TLC. Secondly, the hand cream. Okay, so I really love the packaging of this product. It's super small and convenient; great for your handbag! The product itself is very moisturising and non-sticky and although it seems like a balm at first, it melts into your hands. However, the only thing I'm not a fan of is the smell. If you're into sweet, strong smelling products, then you won't have a problem. It's almost like a bakewell smell because of the almonds. Nice, but a bit too much when it lingers around on your hands for too long. 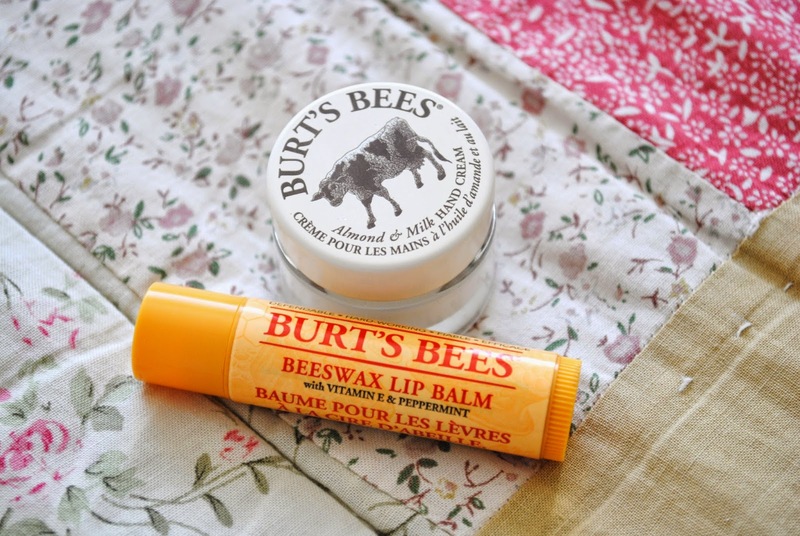 All in all, I will be looking to purchase more Burt's Bees products, especially different flavoured lip balms. 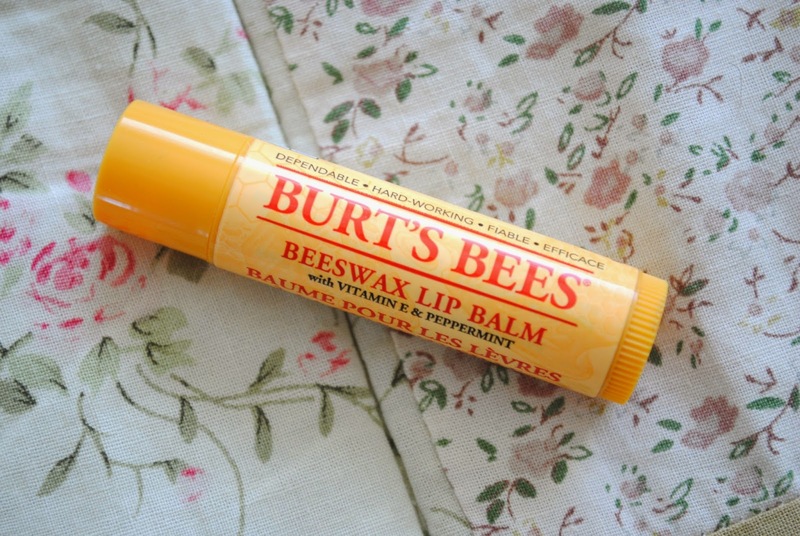 Do you guys have any recommendations as to what I can try next from Burt's Bees?